regional integration « What Happened to the Portcullis? The following article titled ‘Cross-border projects dependent on cost’ was recently published by Transport World Africa. It deals essentially with cross border logistics and provides an insight into regional infrastructure and logistics projects – successes, failures and their impact on transport logistics. It emphasizes the need for greater and closer public and private partnerships, but alas sovereign states appear to be more focused inwardly on their domestic affairs. Implementers of projects have the knack of focusing on what they know very well, often leaving out what they do not know. Usually, this comes back to bite them. An example is in the integration of leadership. Countries in the Southern African Development Community (SADC) region compete with each other for demand and capacity provision, which results in the inflated cost of logistics. Rather, countries should work together. Integrating ports and funding is relatively easy. What is not available is integrated leadership in the region (excluding heads of various states), agreeing that SADC is ‘one country’. Logistics planning is still done at the country level, which is not practical, because then supply chains are being developed that are competing with each other. The sector should be cautious about acceleration, and about what is funded. One example is Transnet, whose plans should fit into regional plans, but right now they do not. The softer issues in project development often go ignored, but they are at times the most important. There should be a halt to focusing mainly on mega-projects, since they take time and money, as well as resulting in complications (excluding Grand Inga). Despite this, mega projects do create a common vision for a region. Do sponsors have the capacity to support these projects? Institutional capacity is certainly needed. At the political level, southern Africa has done well, top–down approaches are there, but things go off course when there is the attempt to get others to plug-in to this. One-stop border posts are very important. It was cautioned that the region must be careful not to follow the architecture of colonial extraction, which means focusing on intra-Africa trade rather than too great a focus on ports and exports. Government and private sector must both drive natural winners and losers in markets. There is sufficient funding and policies, but project preparation is limited. What is needed is to decide how to make hubs of excellence, and decide who is going to do what. The high-level work has been done, but now the sector is facing an implementation challenge. Governments do not do regional integration very well. The private sector does the regional integration, and they suffer most when it does not work. Regional infrastructure will not happen unless there is public support for it. The most successful cross-border project was a PPP: the M4 toll road. This had a large economic impact. Also, the Port of Maputo has been successful in generating income. Ports without land side integration are useless. Projects need a soft-issue mediator; otherwise there are great ideas, but no implementation. The private sector should not see itself as a messiah, but should rather have a sense of responsibility for developing supply chains. There needs to be a clear understanding of soft issues, clear legal and policy understanding, and communication. SADC has been driving the implementation of harmonisation of vehicle load management for twenty years. A mediator between the public and private sector (such as Maputo Corridor Logistics Initiative (MCLI) is absolutely necessary. It is a stark reality how little intra-African trade there is. To address this there should be a clear target for development in future. In Namibia, there are efforts to focus on the positives in regards to transport development, even with limited resources. Namibia has been independent for 25 years; 15 years ago the Walvis Bay Corridor was created as a focus on regional integration and regional development. There are 2.2 million people in Namibia, which means a small economy. There is no real choice but to take into consideration the region and recognise the value Namibia can add. In regards to planning, in 1995 it developed its first transport master plan, and in 2014 it developed its second transport master plan (this was twenty years apart). In February 2015, it developed a logistics master plan to develop Namibia into a logistics hub in the region. It has focused on transport modes because it has a port emphasis. It started roads development. Is the Latest FTA Another Booby Prize for Africa? Around 2008, most Southern African countries began to realise that the great ambition found on the SADC website at that time of moving from a SADC free trade area to a customs union by 2012 was not going to happen. The SADC website had a very EU-like regional integration agenda. This is not surprising given that the great sugar daddy in Brussels basically funds the entire organisation. SADC wanted to replicate the EU linear model – first a free trade area where the countries trade freely among themselves; then a customs union where the members agree to a common tariff; and then a common market where all goods, services, capital and labour flow freely. Finally, SADC was to complete the copy of the EU by creating a monetary union. This flattering imitation of the EU was obvious – the Brussels paymaster pays and we all happily follow their model into Kwame Nkrumah’s vision of a united Africa. But the ugly problem was, as ever, African history. The less than subtle British also wanted a customs union in Africa. So, in 1910 they just created one – the Southern African Customs Union (SACU), which, like the proverbial bicycle without any pedals, still manages to stand because it is padded with money. When the British implemented SACU after the Anglo-Boer War, there was no need for polite and time consuming subtleties of contemporary African consensus building. The Union of South Africa and the British high commissioner signed on behalf of the protectorates of Basutoland, Bechuanaland and Swaziland – not a black person in sight unless they were serving the tea. Almost a century later those who designed the EU-like agenda for SADC’s integration conveniently forgot their history and somehow assumed that a customs union could be readily grafted on the SADC free trade area which was already in existence. But there cannot be two external tariffs and, therefore, either SACU or SADC as a customs union had to go. And the difficulty that SADC faced with creating a customs union is that no one is ready to sacrifice national interests for a broader common good. Free trade areas are relatively easy, they can be easily fudged, but customs unions are hard work because all the countries that are members have to agree to the external tariff. In the meantime, the apartheid regime in Pretoria realised that it desperately needed to buy friends and influence enemies and so in 1969 it changed SACU from a regular customs union to one where the share of revenue from customs was derived from share of regional trade. Normally, customs unions divide the revenue poll based on what economists call the ‘destination principle’. This meant that countries get the revenue depending on what imports were destined for that country. So if 5% of imports were destined for, say, Botswana, it would get 5% of the revenue. But the SACU formula was purposely designed by South Africa to make the BLS (Botswana, Lesotho and Swaziland as members) completely dependent upon transfers from Pretoria by basing the formula on the share of intra-SACU trade and not external trade. The oddity was that with the end of apartheid, things actually got even worse after the 2002 SACU re-negotiations because Pretoria agreed to a formula that made Botswana, Lesotho, Swaziland and newly independent Namibia get their share of customs revenue from SACU based on the share of intra-SACU imports. SA imports almost nothing from SACU countries and the BLNS countries import almost everything from SA and so they get a huge amount of revenue. Many officials in Pretoria deeply resent the subsidies in SACU. So, a SADC customs union would have eaten into the massive transfers (about N$20 billion per year) that Namibia and the rest of the BLNS states get each year from Pretoria and there was no way they were going to agree, and so the SADC customs union was not a realistic possibility. After the obvious end of the SADC negotiations for a customs union, African negotiators began to look around for something that would keep them off the unemployment lines. 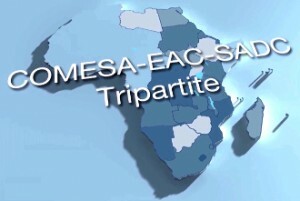 The infamous African ‘spaghetti junction’ of the East African Community, Comesa and SADC with its overlapping membership became the next target. If you can’t form a customs union then just get a bigger FTA (free trade area). Now this year, finally, an FTA has been signed but it has also been fudged. Few really want to give the highly competitive Egyptian producers free trade access to their African markets. Ostensibly, we are moving to negotiate a continental free trade area which will finally begin the process of fulfilling of Nkrumah’s dream of a united Africa. But instead, what we have is Cecil John Rhodes’s dream of a market from Cape to Cairo – almost; no deepening of the African economic relationship into a customs union; just a widening to the north and west. Free trade areas are a nice step forward but they normally require no real sacrifice of economic interests. Europeans are guilty of many cruelties in Africa but none so absurd or spiteful as the ridiculous lines they drew on the map of the African continent in 1884 at the Berlin Conference when they divided up the continent. The Belgian barbarism in the Congo may fade from human memory and the wounds of apartheid may heal over time but African leaders will struggle to completely eliminate those economic and political lines from the map of Africa. At the invitation of the Vice-Chair of the East and Southern Africa (ESA) Region, Mrs. Agnes Katsonga Phiri, Commissioner of Customs and Excise, Malawi, the Secretary General, Mr. Kunio Mikuriya attended the 19th Meeting of the Heads of Customs Governing Council ESA Region, on 15 and 16 May 2014. 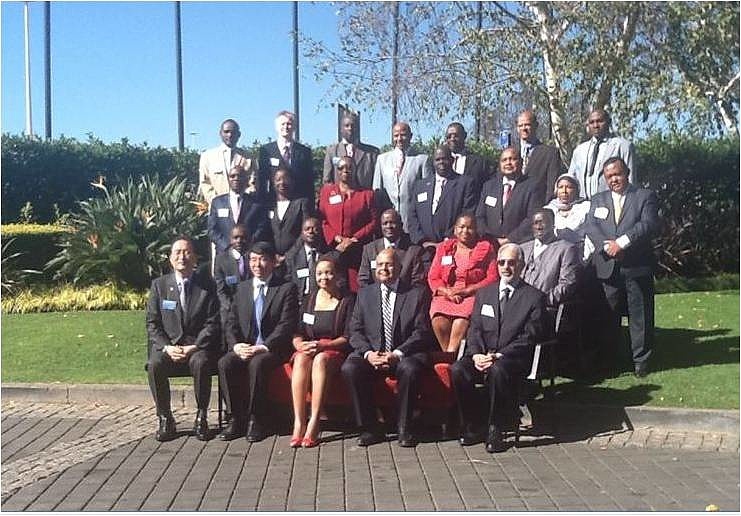 The meeting was hosted by the South African Revenue Service (SARS) in Johannesburg. The Commissioner of SARS, Mr. Ivan Pillay welcomed delegates from the Members of the Region on the 20th Anniversary of democracy in South Africa, a period during which much had been achieved. He highlighted the importance of the WTO Agreement and its impact on Customs and the growth in African trade. Addressing the Governing Council, the Minister of Finance, Mr. Pravin Gordhan emphasized the evolving role of Customs in a changing and challenging environment. The continued growth of economic activity in Africa required innovative Customs procedures to secure and facilitate trade, particularly in the context of regional integration. The WTO Agreement on Trade Facilitation (ATF) offered a golden opportunity as Customs would have a central role in its implementation. Customs must continue to enhance its operational capacity by increased automation, embracing other agencies and harmonization and simplification of procedures. The importance of Capacity Building was emphasized. Secretary General Kunio Mikuriya gave a comprehensive report on recent WCO activities. He referred to the many developments on the WTO ATF agenda. The WCO had established a web tool dedicated to this topic, including an analysis of the ATF Articles and relevant WCO instruments with a self assessment aspect. Mr. Mikuriya recalled that the WCO theme for this year is “Communication” and asked all Members and agencies present to ensure that all were aware of each other’s activities. The inaugural Africa Transformation Report ranks Mauritius as the most economically transformed country out of 21 sub-Saharan African countries measured in its African Transformation Index, which takes account of a country’s economic diversification, export competitiveness, productivity, state of technology upgrading and human wellbeing. The continent’s largest economy, South Africa, ranks second and Côte d’Ivoire third, while Nigeria, Burundi and Burkina Faso prop up the index. The ranking has been included within a larger 207-page study, which cautions that, while many African economies are growing strongly, most economies are not transforming sufficiently to support a sustainable reduction in poverty, inequality and unemployment. Six of the world’s fastest growing economies are currently in Africa, including Angola, Nigeria, Ethiopia, Chad, Mozambique and Rwanda, while several others are expanding at growth rates of over 6% a year. However, much of this grow is still premised on the extraction and export of natural resources and is not being broadly spread, leaving more than 80% of the continent’s labour force employed in low-productivity farming, or informal urban business activities. Compiled over a three-year period by Ghana’s African Centre for Economic Transformation (ACET) in partnership with South Africa’s Mapungubwe Institute for Strategic Reflection (Mistra), the study urges African governments to position economic transformation ahead of growth at the centre of their economic and development policies. Speaking at a launch in Johannesburg, lead author and ACET chief economist Dr Yaw Ansu said growth was “good” and had arisen as a result of macroeconomic reforms, better business environments and higher commodity prices. “But economic transformation requires much more,” Ansu stressed, arguing that countries needed to diversify their production and exports, become more competitive and productive, while upgrading the technologies they employed in production processes. ACET president Dr KY Amoako said the transformation narrative had already been accepted by the African Union in its Vision 2063, as well as by the African Development Bank and the United Nations Economic Commission for Africa. He added that the African Transformation Index provided policymakers with a quantitative measure for assessing their transformation performance and for guiding future strategies. Mistra executive director Joel Netshitenzhe argued that to turn growth into an “actual lived experience” for Africa’s citizens there was the urgent need to form national social compacts between government, business and civil society to support transformation. Finance Minister Pravin Gordhan emphasised the same point in his recent Budget address, when he highlighted the work being done to secure a social compact to reduce poverty and inequality and raise employment and investment. Gordhan stressed this could not be a “pact amongst elites, a coalition amongst stakeholders with vested interests. Nor can it be built on populist slogans or unrealistic promises”. “Our history tells us that progress has to be built on a vision and strategy shared by leaders and the people – a vision founded on realism and evidence,” the Minister stressed. Fostering partnerships between governments and the private sector to facilitate entrepreneurship, investment and technology upgrading. Promoting exports, particularly outside of the natural resources sector. Building technical knowledge and skills. And, pushing ahead with regional integration. Four transformation pathways are also highlighted, including labour-intensive manufacturing; kick-starting agroprocessing value chains, improving the management of oil, gas and minerals; and boosting tourism. “It’s good that we are growing – we are no longer the hopeless continent. We can transform this hope into reality, but to do that governments must put transformation at the top of their agendas,” Ansu asserted. This study is part of the ECDPM-SAIIA project on the Political Economy of Regional Integration in Southern Africa (PERISA). The PERISA project aims to inform and facilitate dialogue on the political economy drivers of regional integration in Southern Africa. It focuses particularly on the role of South Africa in this process with a view to better informing relations between the European Union and South Africa. Regional economic integration is essential for Africa’s development. While integration is taking place across the continent, it is not happening at the pace and the scope that the institutional architects in the Regional Economic Communities and their member states have agreed upon. Southern Africa is no exception. In looking for answers as to what obstructs or what drives regional integration, this study focuses on one particular type of integration process: cross-border transport corridors. All Regional Economic Communities in Southern Africa have embraced transport corridors (also referred to as Spatial Development Initiatives) as key development tools. Adopting a corridor approach means engaging with a wide range of actors with different interests and influence along key transport routes that link neighbouring countries and ports. This includes the full range of government agencies that control borders for security, revenue collection, and regulatory purposes as well as infrastructure, transport, trade and economic ministries as well as a range of private sector actors from small-scale informal traders and producers to transporters and major international investors as well as port, rail and road operators. South Africa has adopted a new trade policy approach aimed at looking at its own interest first, despite a drive for more regional integration to sustain Africa’s trade growth with the rest of the world. Importers of several products have been experiencing dramatic increases in tariffs from South Africa, as well as an increase in anti dumping and safeguard measures aimed at protecting South African industries. 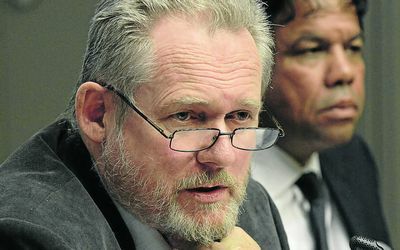 Trade and Industry Minister Rob Davies this week approved the increase of tariffs on frozen poultry following an application by the local poultry industry. George Geringer, a senior manager at PwC, said regional trade relations had been put on the back burner in favour of measures to protect South African manufacturing industries against cheaper imports. “Government realised that manufacturing as a percentage of gross domestic product has declined from about 40% to about 12% in the past 20 years,” Mr Geringer said at the 16th Africa Tax and Business Symposium hosted by PwC in Mauritius. Trade between Africa and the rest of the world has increased by more than 200% in the past 13 years, with optimism from the World Bank that Africa could be on the brink of an economic takeoff, similar to that of China and India two decades ago. A key element for Africa to sustain the trade growth is regional integration to build economies of scale and size, in order to compete with other emerging markets – but limited resources, internal conflict and the lack of a mechanism to monitor the integration process is blocking it, says trade analyst from PwC. South Africa has been regarded as the “champion” of the Southern African Development Community (Sadc). Sadc member countries eliminate tariffs, quotas and preferences on most goods and services traded between them. The member countries include Mauritius, Mozambique, Namibia, Swaziland, Botswana and the Democratic Republic of Congo. The assistant manager at PwC’s international trade division, Marijke Smit, said less than 10% of African nations’ trade was with each other, compared with 70% between member states of the European Union. Benefits of regional integration include increased trade flows, reduced transaction costs, and a regulatory environment for cross-border networks to flourish. Ms Smit said an unsupportive business environment and cumbersome regulatory framework, weak productive capacity, inadequate regional infrastructure, poor institutional and human capacity, and countries’ prioritising their own interests stood in the way of integration. One of the most prominent features of the global trading landscape in recent years has been the worldwide proliferation of bilateral and regional trade agreements. Africa is no exception to this pattern. Another prominent development in Africa over the last couple of decades has been the increasing use by many countries in the region of various types of special economic zones (SEZ). These zones are more and more being viewed in the region as important mechanisms for attracting foreign investment, creating jobs, boosting manufacturing production and manufactured exports and contributing to much-needed industrial and economic development. The folk at Tralac have provided some welcomed insight to the challenges and the pains in regard to ‘regionalisation’. No doubt readers in Member States will be familiar with these issues but powerless within themselves to do anything due to conflict with national imperatives or agendas. Much of this is obvious, especially the ‘buzzwords’ – globally networked customs, one stop border post, single window, cloud computing, and the plethora of WCO standards, guidelines and principles – yet, the devil always lies in the details. While the academics have walked-the-talk, it remains to be seen if the continent’s governments have the commitment to talk-the-walk! Regional integration is a key element of the African strategy to deal with problems of underdevelopment, small markets, a fragmented continent and the absence of economies of scale. The agreements concluded to anchor such inter-state arrangements cover mainly trade in goods; meaning that trade administration focuses primarily on the physical movement of merchandise across borders. The services aspects of cross-border trade are neglected. And there are specific local needs such as the wide-spread extent of informal trading across borders. This state of affairs calls for specific governance and policy reforms. 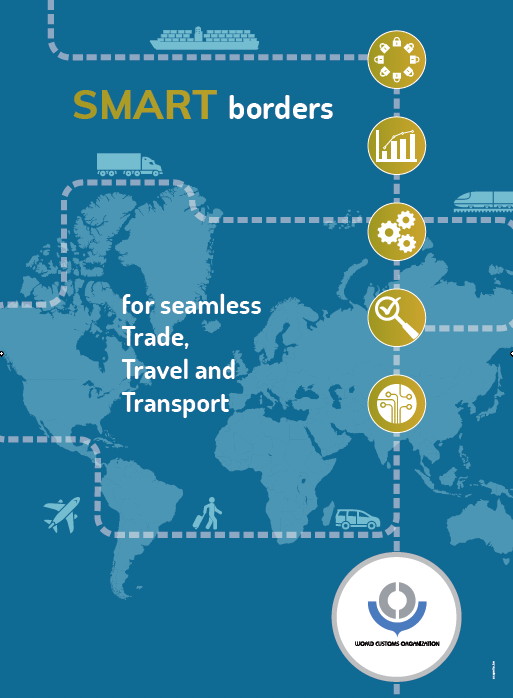 Effective border procedures and the identification of non-tariff barriers will bring major cost benefits and unlock huge opportunities for cross-border trade in Africa. The costs of trading remain high, which prevents potential exporters from competing in global and regional markets. The cross-border production networks which are a salient feature of development in especially East Asia have yet to materialise in Africa. Policy makers have started paying more attention to trade-discouraging non-tariff barriers, but why does the overall picture still show little progress? The 2012 World Bank publication De-Fragmenting Africa – Deepening Regional Trade Integration in Goods and Services shows that one aspect needs to be singled out in particular: that trade facilitation measures have become a key instrument to create a better trading environment. Effective regional integration is more than simply removing tariffs – it is about addressing on-the-ground constraints that paralyze the daily operations of ordinary producers and traders. This calls for regulatory reform and, equally important, for capacity building among the institutions that are charged with enforcing the regulations. The integration agenda must cover services as well as goods……services are critical, job-creating inputs into the competitive edge of almost all other activities. Simultaneous action is required at both the supra-national and national levels. Regional communities can provide the framework for reform, for example, by bringing together regulators to define harmonised standards or to agree on mutual recognition of the qualification of professionals……. but responsibility for implementation lies with each member country. African governments are still reluctant to implement the reforms needed to address these issues. They are sensitive about loss of ‘sovereign policy space’ and are not keen to establish supra-national institutions. They are also opposed to relaxing immigration controls. The result is that border control functions have been exercised along traditional lines and not with sufficient emphasis on trade facilitation benefits. This is changing but specific technical and governance issues remain unresolved, despite the fact that the improved border management entails various technical aspects which are not politically sensitive. You may recall earlier this year the African Development Bank and the WCO agreed to a partnership to advance the economic development of African countries by assisting Customs administrations in their reform and modernization efforts. The AfDB’s regional infrastructure financing and the WCO’s technical Customs expertise will complement each other and improve the efficiency of our efforts to facilitate trade which includes collaboration in identifying, developing and implementing Customs capacity building initiatives by observing internationally agreed best practice and supporting Customs cooperation and regional integration in Africa. In addition, the partnership will seek to promote a knowledge partnership, including research and knowledge sharing in areas of common interest, as well as close institutional dialogue to ensure a coherent approach and to identify comparative advantages as well as complementarities between the WCO and AfDB. Customs professionals, trans-national transporters and trade practitioners will find the featured article of some interest. It provides a synopsis of the key inhibitors for trade on the continent, and will hopefully mobilise “African expertise” in the provision of solutions and capacity building initiatives.